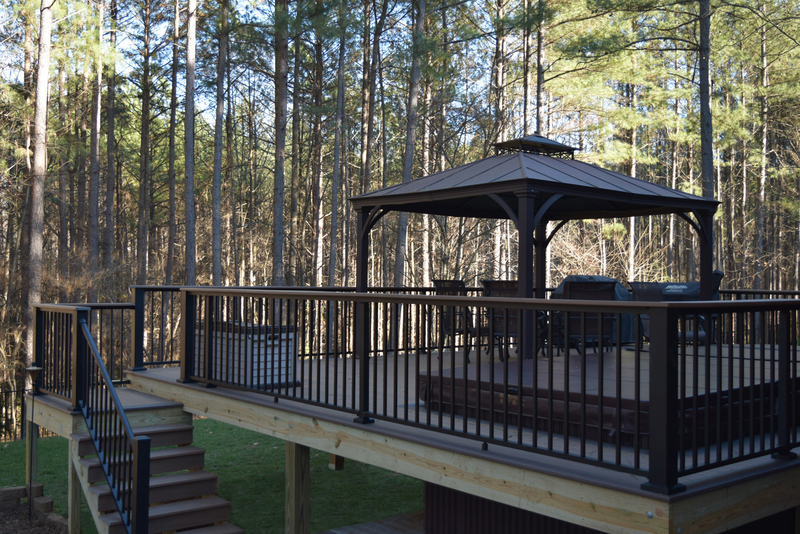 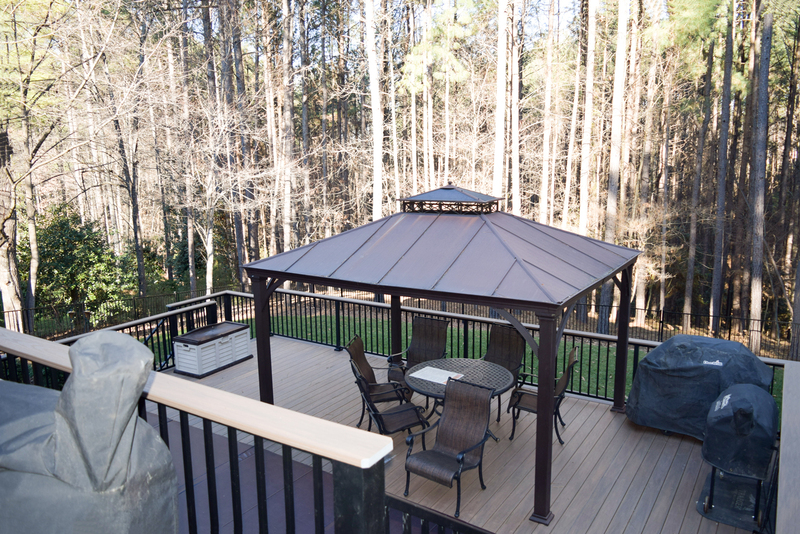 Check out JAG’s newest deck project in Denver, NC. 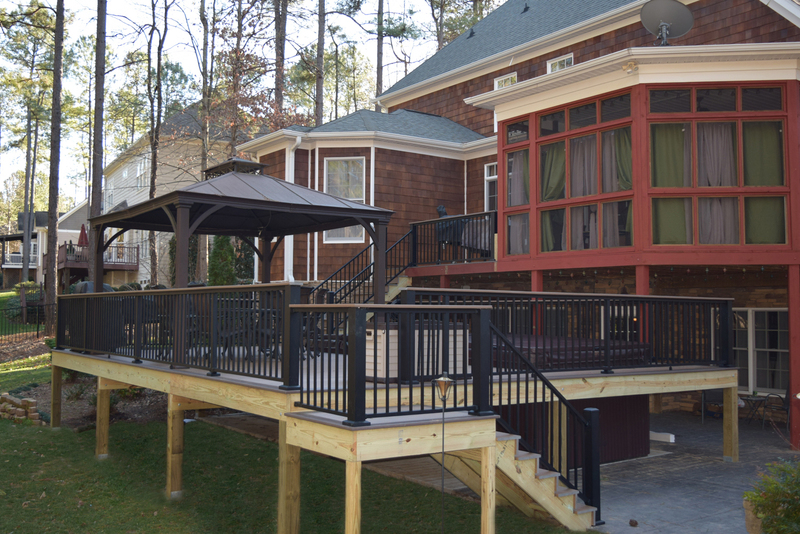 JAG’s client wanted to resurface an old deck off their porch and build a new one around their new swimming SPA below. 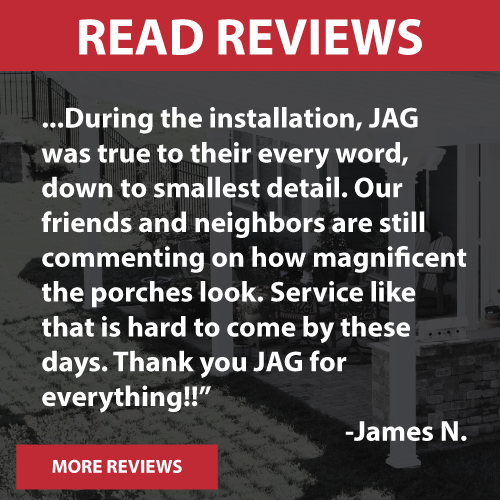 JAG resurfaced the old deck coming off the porch with WOLF PVC decking all blind screwed and added all black aluminum railings for maintenance free upkeep. 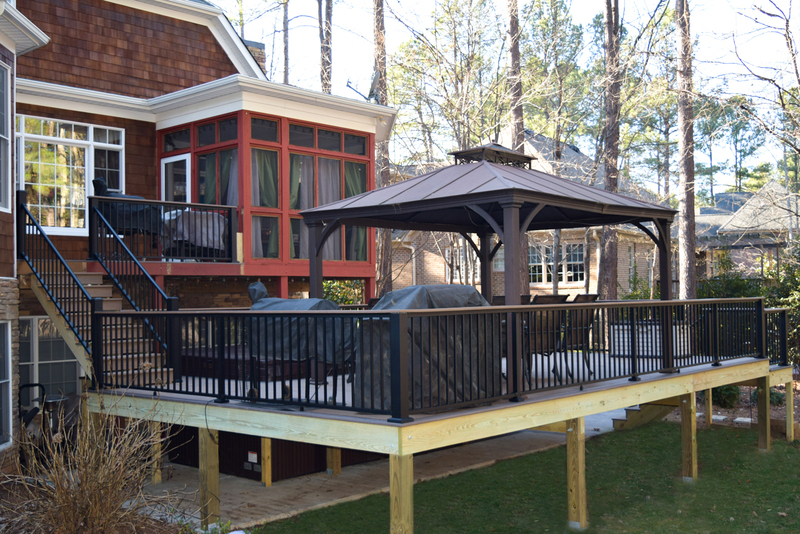 We built a set of stairs coming down onto the lower SPA deck level where the owners exercise every day in their swimming SPA and relax in the hot tub all matching the upper deck materials. 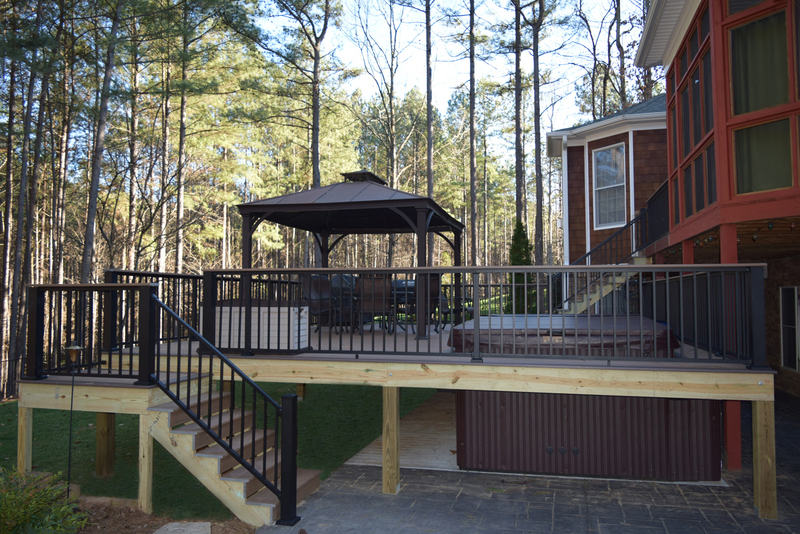 The lower deck steps down onto a stamped concrete patio and fire pit for added outdoor living space.